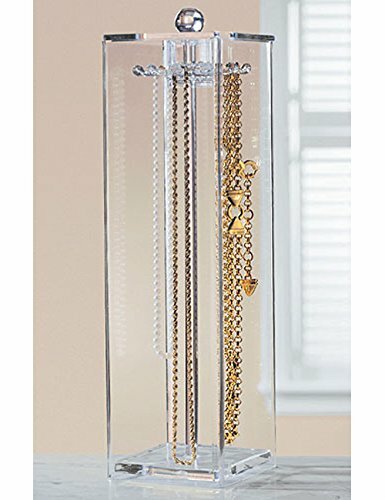 Fancy, delicate and stylish, this gorgeous and elegant jewelry display rack is the best gift for anyone who prefers displaying their jewelry in a more unconventional and completely one of a kind way! 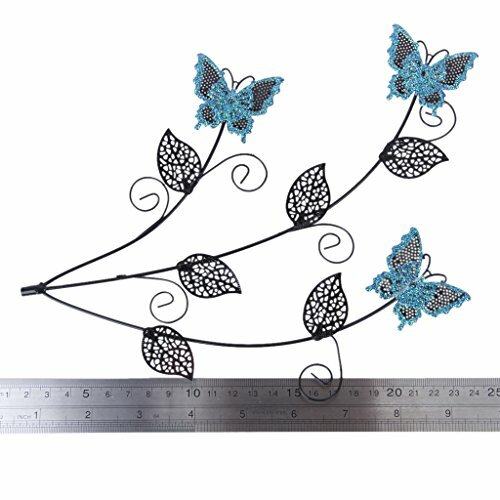 The product features a lovely tree with butterflies and fancy leaves and vines; it is also supported on an oval tray for more stability and a better balance. 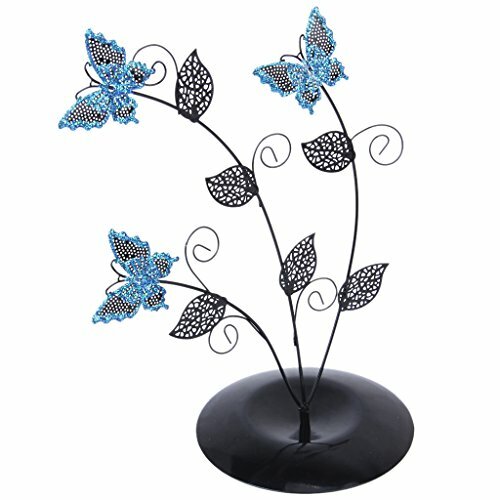 The tree is a gorgeous and attractive dark color with beautiful blue butterflies for a more striking and astonishing contrast. 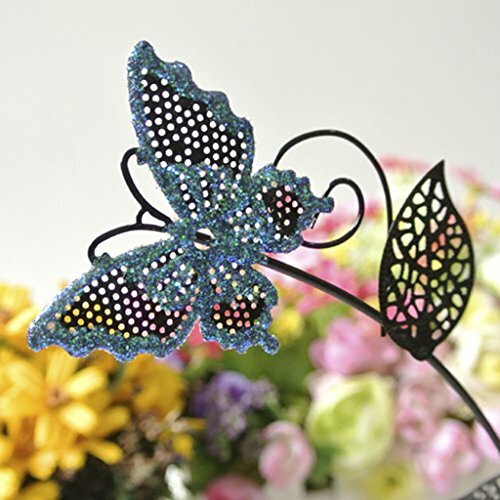 The leaves have an intricate and interesting shape and the butterflies are gorgeously designed. 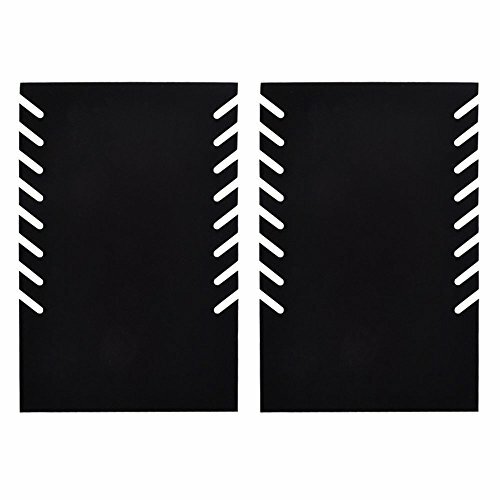 The product is a true example of beautiful and amazing pieces of art and it can be used for decorative purposes only just as well. 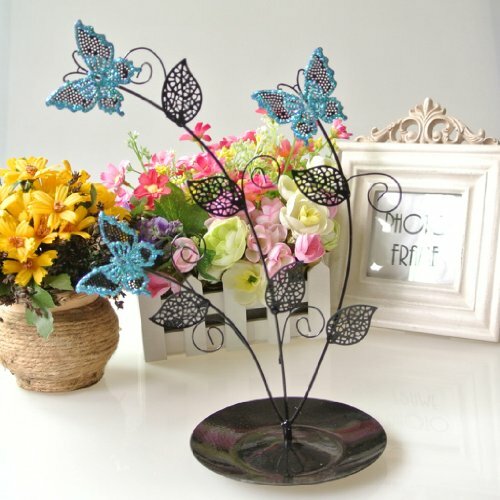 There are, per total, three lovely butterflies and six pieces of dainty tree leaves. 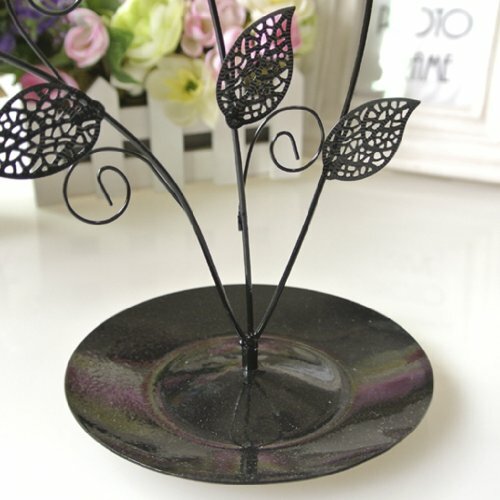 Therefore, this jewelry tree holder is suitable for holding jewelry such as rings, pairs of earrings, brooches, ear studs, bracelets and many other items of jewelry of similar size and which are not too heavy. 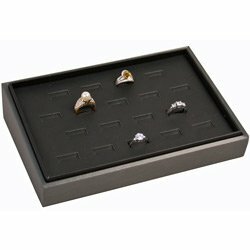 It can also hold keys or other small trinkets and accessories with ease. 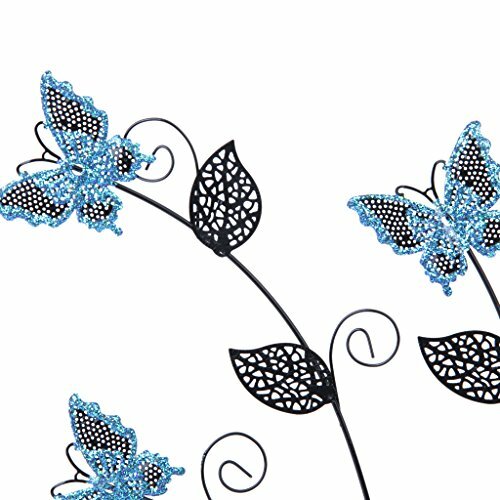 This is a most stylish and delicate piece of art that will definitely not go unnoticed by anyone who visits you! 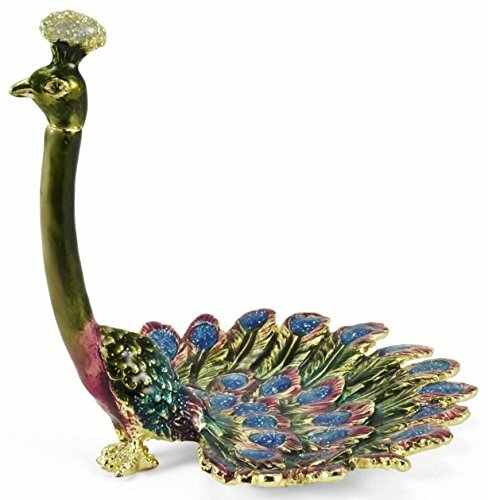 It is adorable, beautifully ornate and it will bring about a new kind of grace and stylish into your home and thus greatly embellish your environment! 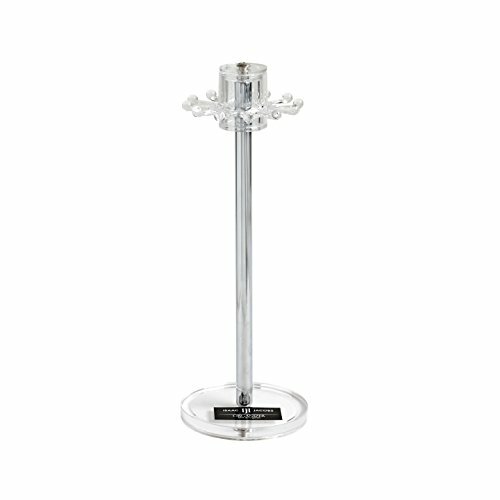 The dimensions of this item are the following: 11.7cm /4.56 inch; display stand: 25 x 19 cm /9.84 x 7.48 inches.